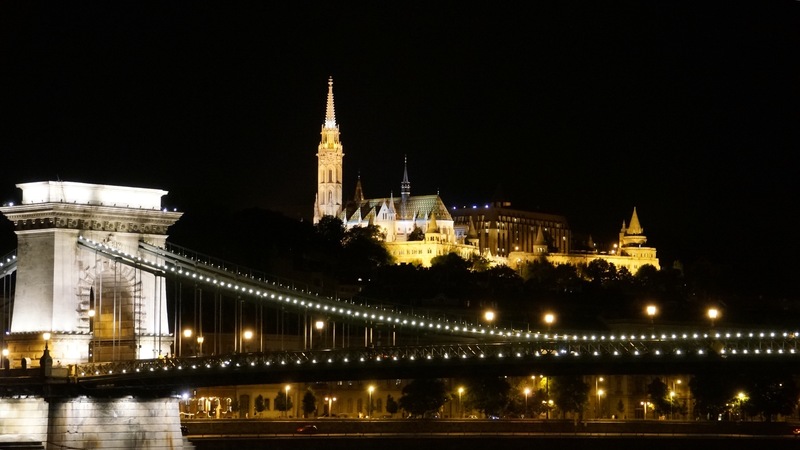 We cruised along the Danube into the city of Budapest at 10pm. We didn’t know what to expect, but our tour guide told us it was a must to get up to the sun deck to see the city as we approached at night. Off in the distance, the golden glow of the lit buildings began to shine in the darkness, glowing brighter with each passing minute. Except for the gentle hum of the boat engine, all you could hear was a quiet, audible gasp from each person, awestruck by the beauty of this magnificent city as we sailed under the ten bridges…the only sound was the clicking of camera shutters from every direction. The sound of the tour guide’s voice slowly came back into focus in the background of our minds as we realized our focus had been elsewhere. No camera can catch the splendor of our entrance into this stunning city. No photo can relay the gigantic scale of these buildings as we floated by. It was as if every building had been dipped in liquid gold….Breathtakingly beautiful! The House of Parliment took 1000 workers 19 years to build. It was completed in nineteen years, finished in 1904. 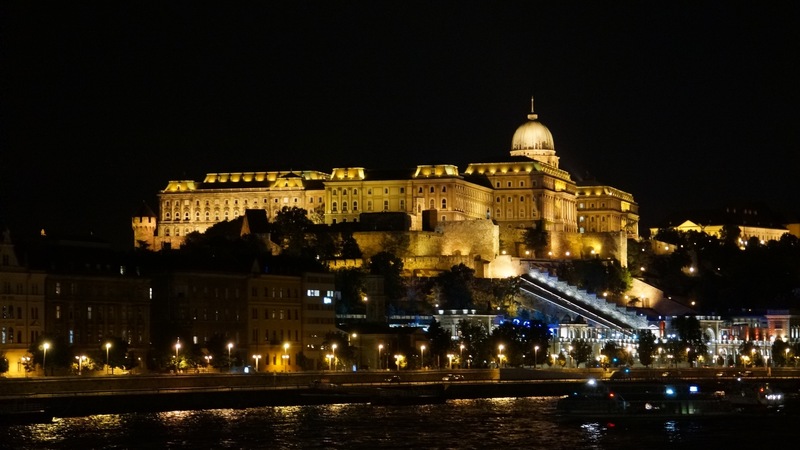 Buda Castle is the historical palace complex of the Hungarian kings in Budapest, and was first completed in 1265. Built in 1849, the Chain Bridge was the first permanent bridge linking Buda and Pest together. That’s Matthias Church in the background. Budapest is really two cities, Buda is the hilly side is intersected by the Danube with Pest, on the flat side. The city has a has a long history, going back 2000 years. 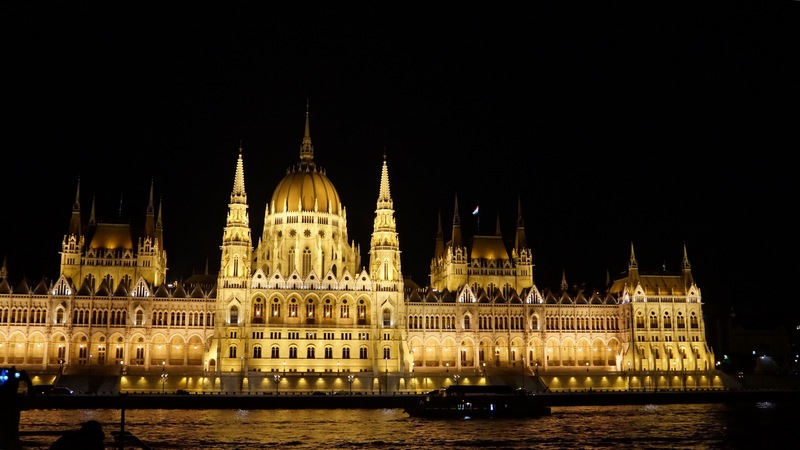 20% of the Hungarians live in this Capitol city, with a population of almost two million. Budapest has a tumultuous past of changing hands by several countries that have conquered its borders, losing as much as one third of their land and population to other countries. They were occupied by Nazi Germany during WWII, losing all of their bridges and causing large spread damage to their buildings during the war. Soviets occupied after the war, with a resulting Hungarian revolt in 1956 to finally allow them to be out from under the Communist leadership. 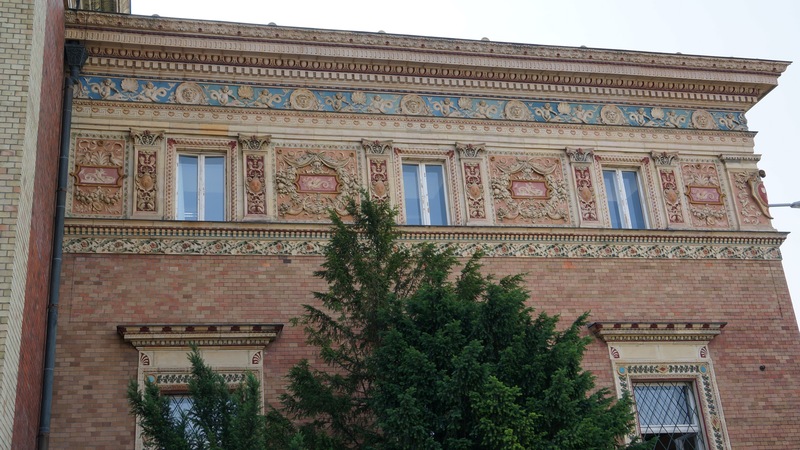 The city also had a very large Jewish population, with the third largest synagogue in the world located here. 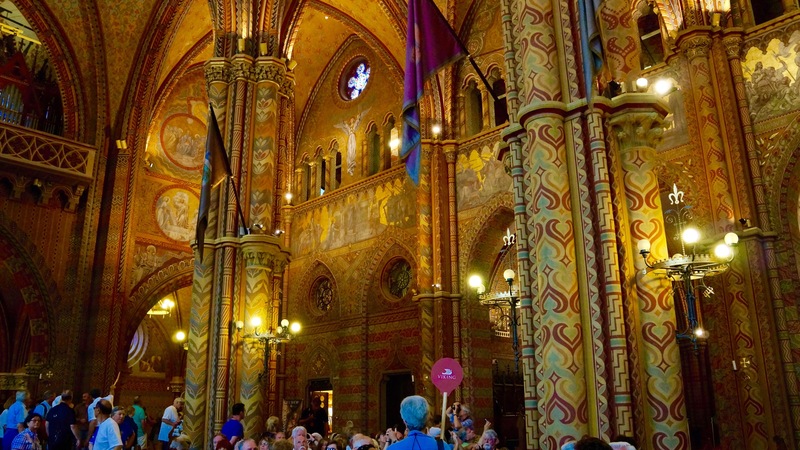 Matthias Church was built for the first King of Hungary. It had been destroyed and rebuilt multiple times. 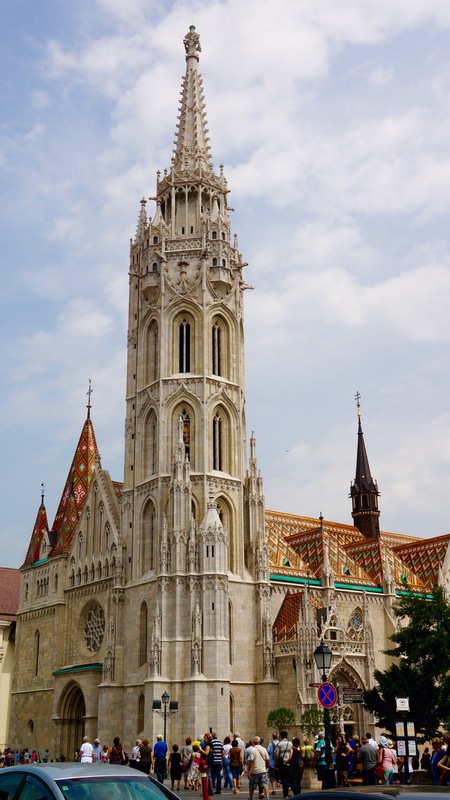 It is one of the oldest medieval churches in Buda, having been the coronation location for many Hungarian Kings. With its diamond patterned roof, and interior painted walls, it was highly controversial for its time. 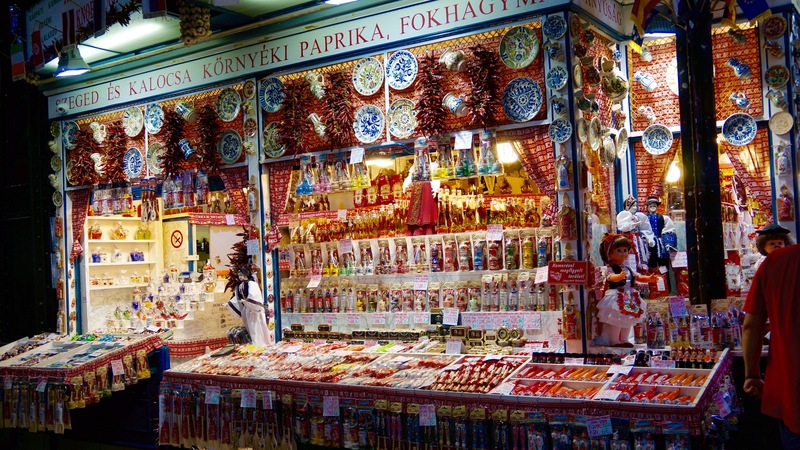 You can’t leave Budapest without picking up some Hungarian paprika, a spice that they are well known for, and here, there are several kinds. I bought smoked, sweet, and hot and can’t wait to make some Hungarian goulash with it. The architecture here is so unique and beautiful, I would just want to put dozens of photos of buildings with intricate trimming and moldings. It’s one of those places that you just have to put on your list of cities to visit. We wish we had a few more days here. There is so much more to see. By the way, if you come, check the weather. It’s 90 degrees here today. Whew!! Hope you can see the Hungarian dancers with their leather boots? 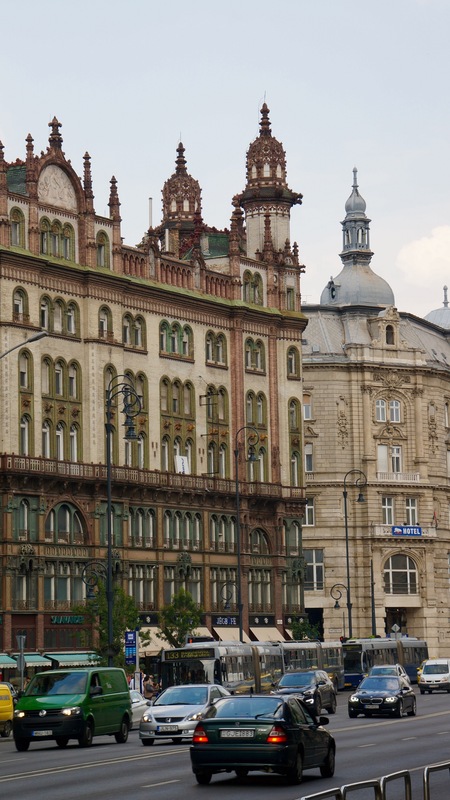 Budapest was one of our all time favorite cities on our tour? Enjoy the views! !